Much desired 100 Pond Street. This end unit has wonderful natural light that accentuates the newly painted interior. Spacious floor plan has two levels of living. The main floor has a wonderfully sized master bedroom with a walk in closet and Master bath. There are sliders off of the master to a private brick patio. The kitchen, dining room and living room are prefect for today's lifestyle and for entertaining. The second bedroom and hallway bath round out the main floor. The lower level has been freshly painted and carpeted. There is a comfortable family room and guest bedroom as well as a recreational room and storage area. 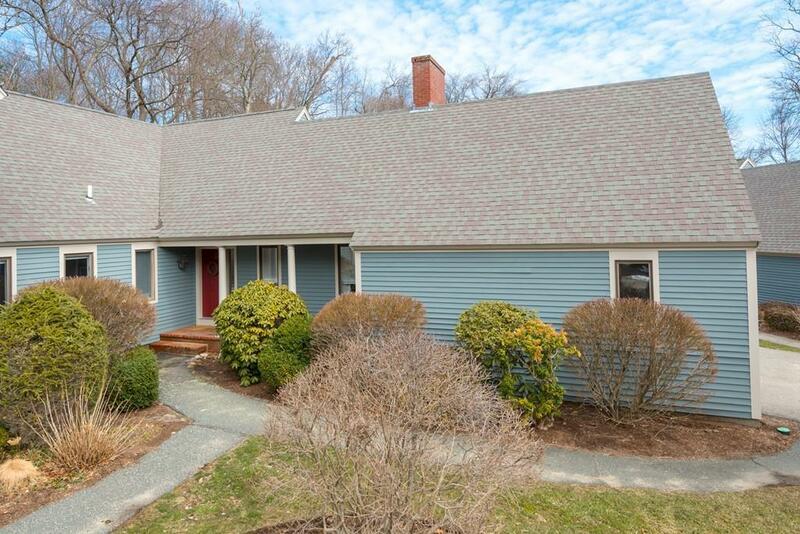 100 Pond St is an amazing location, walk to the village harbor, school and the fields. This home has it all!